3 Counties Energy Agency were partners in the EU Data4Action Project which ended in Q1, 2017. Energyhub was born of this project to act as an energy and emissions data observatory for the counties of Carlow, Kilkenny and more recently Wexford. Energy data access can be challenging for many reasons including data ownership, commercial sensitivity and the lack of resourcing. 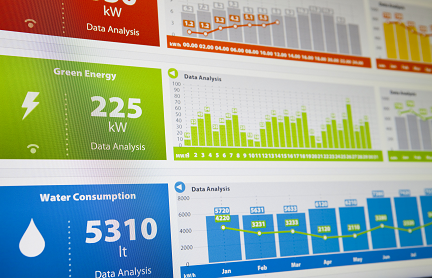 Data 4 Action, by identifying transferable models of collaboration, explored ways to improve the access of public authorities to energy data for a better implementation and a better monitoring of Sustainable Energy Action Plans (SEAPs). 3 Counties Energy Agency is continuing in its endeavour to support access to data for the Local Authorities of Carlow and Kilkenny and more recently, Wexford. During the lifetime of the project and in the months since it’s completion both Carlow and Kilkenny County Councils have developed SEAPs and have submitted these for approval to the Covenant of Mayors for Climate and Energy (Carlow Q2, 2017, Kilkenny Q1, 2017). This commits both Local Authorities to action to support implementation of the EU 40% greenhouse gas-reduction target by 2030 and the adoption of a joint approach to tackling mitigation and adaptation to climate change. See Baseline Data for Carlow here, Kilkenny here, Wexford here. 2016 Data for Carlow here, Kilkenny here, Wexford here.